Academic advising is vitally important to a successful college career. 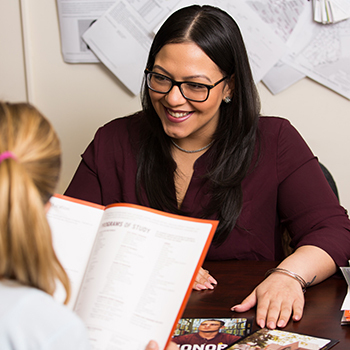 Developing a meaningful relationship with your advisor will help you access the many opportunities available at the College and maximize your academic potential. 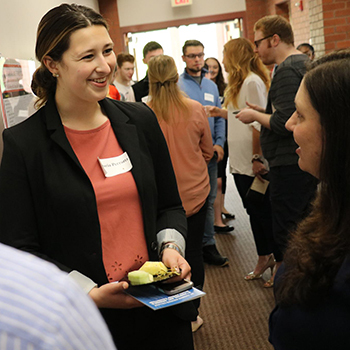 Throughout your time here at St. Thomas Aquinas College, your advisors will be there to support you as you choose a major, make course selections, and even prepare for your career. Curriculum sheets are designed to allow you to see all the courses you will need to complete to earn your degree in your chosen major. Your advisor keeps an updated copy of this form, but you should too so you can keep track of your academic progress. Please note that in certain cases there are multiple curriculum sheets, depending on changes that may have been made to the major requirements. Be sure that you are using the appropriate one for the year you entered the College. The name of your academic advisor and his/her room number and office hours are available on Banner Self Service. You are assigned a faculty academic advisor during your first semester on campus and you will remain with him/her as long as you continue with your specific major. Your advisor will have a copy of your current schedule, your previous college transcripts and your course evaluation form on file in order to best counsel you in course planning and selection. Feel free to see your advisor as often as you need but most importantly, prior to registration each semester. Your registration form must be signed by your advisor in order to register for your next semester's schedule. If you decide to change your major, you should first consider speaking with the Director of Career Development to better understand your career opportunities and graduate school options after graduation. Next, you should complete the Change of Major Form available in the Advisement Office. We will complete another curriculum sheet for you which will identify your requirements and we will assign you to a new advisor if the new major is unrelated to your previous one. Registration for the upcoming semester takes place in November for the Spring Semester and March or April for the Fall Semester. The Registrar’s office will notify you regarding your assigned registration date. Review the academic requirements of your major again, plan a preliminary listing of the courses you would like to take by using Banner Self Service for Students and make an appointment to see your academic advisor. At registration time, many advisors have appointment sign up sheets on their office door but others simply want you to appear during their normal office hours. It is best to find out in advance what your advisor has arranged. Your academic advisor will provide you with your registration pin number and sign your registration form. In addition, you must pay your registration deposit in the Business Office and receive their clearance regarding the balance of your student account. Once you have your registration access code, and your account is clear you are ready to register using Banner Self Service for Students on your assigned registration day. If you decide after you register that you need to drop and/or add a course, you may make the change using Banner or print/pick up a Drop/Add Form" at the Registrar's Office. Always check with your advisor to make sure your decision is appropriate for your overall program and to confirm that you have the necessary prerequisites for your new course. The fee to drop/add any number of courses at one time is $25. Pay this in the Business Office (Borelli Hall) and bring your receipt and your form to the Registrar's Office. It is very important that you officially drop a course if you no longer wish to attend. Simply not attending the course without withdrawing will result in an "F" on your transcript and the grade will be included in your cumulative grade point average. 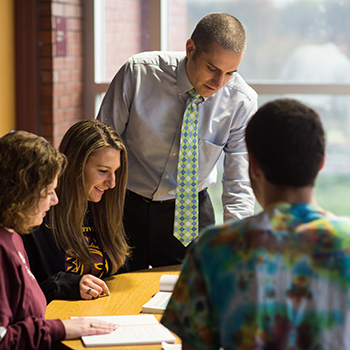 If you would like to take a course at another college and have the credit transfer to STAC, you must receive prior approval through the Advisement Office. 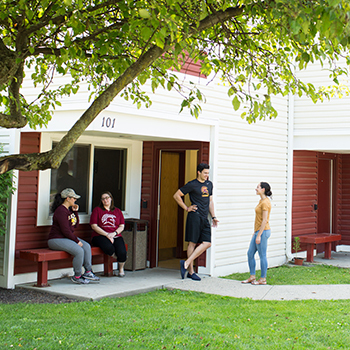 If you began your studies at STAC and did not transfer from another college, you may take a total of 2 courses (6 credits) at another college while you are a student here. These courses may be taken during the summer or winter interim sessions. If you initially enrolled at STAC with credits from another college, no additional courses may be taken off campus. 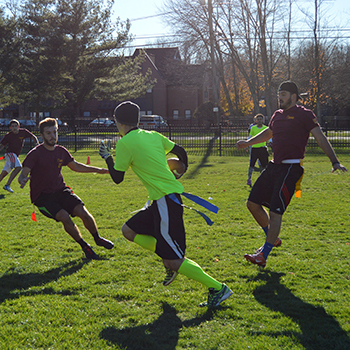 In addition, residency requirements stipulate that your last 30 credits must be taken at STAC. Off campus course approval forms are available in the Advisement Office. Any courses to be used towards your major must have approval from the Dean of the School and the Academic Advisement Director. Courses outside the major need approval only from the Academic Advisement Director. If a student drops to part-time status during the first four classes, the tuition bill and financial aid is adjusted downward to reflect the changes. After the fourth week of classes, tuition and financial aid stays the same but future aid may be affected by any additional change of status. Students are strongly encouraged to visit the Financial Aid Office immediately if they are considering a change from full-time to part-time. Midterm grades are available on Banner Self Service. These grades are intended as a warning that there is a problem in a particular course and are only reported if the student is receiving a grade of "D" or "F". Students are encouraged to speak with the instructor to determine what is needed to improve their grade, to use the Center for Academic Excellence and to keep in mind the last day to drop a course in that particular semester . A course by appointment may be arranged if it is required in the student's major field but it is not offered in the session necessary for the student to stay on track for graduation. This privilege is restricted to students who have completed 60 or more credits and may be used during the Fall, Spring or Summer. Students must be in good academic standing with at least a 2.0 cumalative GPA. Courses by appointment may not be taken as repeats of courses in which a "D" or "F" was earned and are limited to two (2) during the student's academic career. Students must observe the requirements established for the normal course in terms of readings, exams and projects. They must meet with their supervising instructor at least six (6) times or the equivalent during the semester. Approval must be obtained from your Academic Advisor, Faculty Mentor, Dean of the School and Vice President of Academic Affairs. You can print this form off of the Registrar's Webpage or pick up a copy in their Office. Independent Study is a student-generated and faculty-supervised course. Students, who have topics of special interest which they would like to probe in depth, may devise their own course of study and submit a completed application form for independent study to a faculty member qualified in the area to be studied. Following agreement between the student and the faculty member on this decision, approval must be obtained from the Dean of the School, Faculty Mentor and Vice President of Academic Affairs. You can print this form off of the Registrar's Webpage or pick up a copy in their Office. Independent study is available to all degree candidates who have completed a minimum of 60 credits at St. Thomas Aquinas College and are in good academic standing. No more than six (6) credits in independent study may be applied toward a student's major. The College Level Examination Program is designed to award college credit to students who have acquired academic knowledge outside the traditional classroom situation. Students who have been accepted for matriculation in a degree program at St. Thomas Aquinas College may be awarded thirty (30) CLEP credits towards the Bachelor's degree. All students who wish to take any CLEP exam must register through the Academic Advisement Office. Complete regulations, procedures and applications are available in our office. Students may earn up to thirty (30) credits which validate achievements experience towards their Bachelor's degree. Prior Learning Assessment credits are typically considered for students who are at least 25 years of age. Generally, students should apply for a Prior Learning Assessment before or during their first semester at the College. While prior experience is being evaluated, students should be cautioned against enrolling in courses where credit may be granted. Students should begin the process with the Director of Academic Advisement who will discuss the advisability of seeking credit. Appropriate students will then be referred to the Dean of the School who may encourage the applicants to prepare portfolios. Prepared portfolios should be submitted to the Dean of the School who will then identify faculty evaluators. At the time of this review, each student will be required to pay the current Prior Learning experience fee. The School Dean sends the faculty recommendation to the Director of Academic Advisement who makes a final credit determination based on their recommendations. The student and the Registrar are notified of credits awarded. Students should apply for graduation by using the form on the Registrar's Webpage when the student has 84 credits or more completed. A graduation audit will be prepared by the Registrar's Office and you will be notified via STAC email and a letter mailed home.